Cheap Tissot quartz.... I love it! I understand why people do it, but it trashes the value. Why limit yourself to a manufacturer that offers this service? Just get the watch you want and have it engraved at a local shop or artist. Should be pretty easy to find one when you search for engraving. Anything from simple text to art work. Topic: When is a watch fully wound? As the title suggests I'm after watch brands that offer case back engraving. I already know of CWL, Bremont and Archimedes. 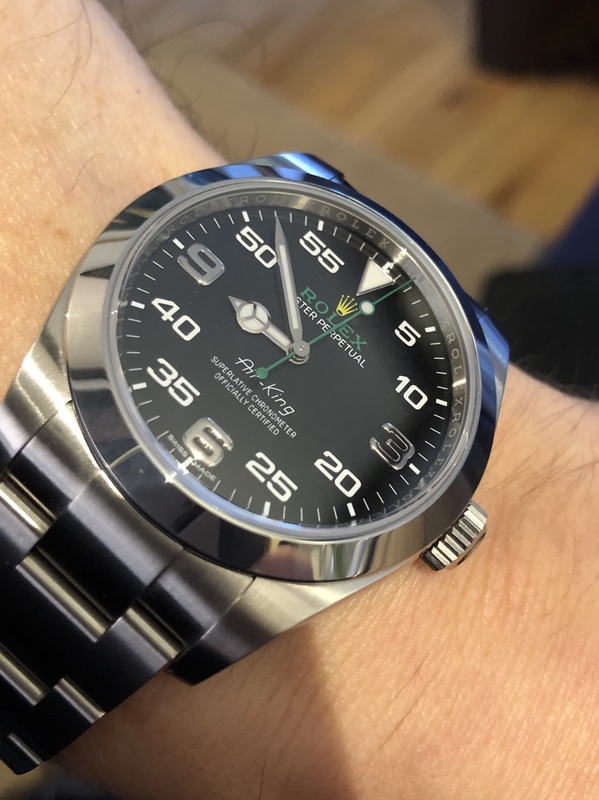 Any chance you could send me a link to this watch? Watchgecko offer lovely straps. I've had 2 leather and a free nato from them. Topic: Bought my nephew a watch ! Re: Bought my nephew a watch ! I'm 34 and love my watches! Admittedly most of my friends either don't or wear smart watches.... which I personally can't stand. I feel naked without a watch! One of my favourite watches... it has some yellow in it! Missed out on a 2nd hand one about 18months ago from an AD for £1850. Since then the used prices have shot up.... gutted! Sorry, I don't know why the trident photo appeared twice. I do like the Seiko. What size and how much? Do you already have it? What do you think of it?